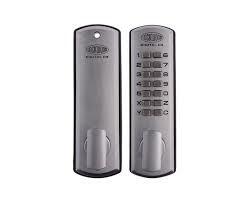 First Choice Locksmiths use a wide range of mechanical digital locks and electrical digital locks. The following is just a few products we use. Call Now to speak to one of our qualified locksmiths. 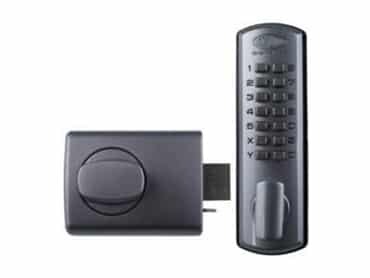 Digital entrance set including a Lockwood 530 latch, an internal turn knob and an external push button key pad (Mechanical). Outside function: press the C button , enter the correct code then turn the knob to unlock the door. Upon releasing the turnknob the code is automatically cancelled. Digital deadlatch including a Lockwood 002 internal locking body and an external push button key pad (Mechanical). 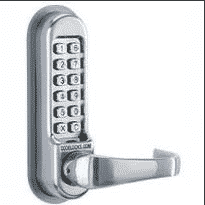 “Code Free” feature (excludes CL510SSAU) enables the lock to be used in a passage function without removal from door.